The Call of Duty: Black Ops 4 beta starts again this weekend, so here’s everything we know. Activision has confirmed all the details we’ve been waiting to hear about the Call of Duty: Black Ops 4 private beta. In this story, we’re going to go over all available information, such as starting times, how to get in, beta content and more. When does the Call of Duty: Black Ops 4 beta start? The Black Ops 4 beta is split over different stages across the different platforms. The first round took place last weekend, and was exclusive to PS4. The next phase starts this weekend, and it’s going to be available on more platforms. Weekend 2 goes live on Friday, August 10 at 10am PT, 1pm ET, 6pm BST. This second and final phase goes offline at these same times on Monday, August 13. This weekend, the beta will be available on PC, PS4, and Xbox One. The times above apply to all three. However, PC players get an extra treat this weekend. An open beta will go live on Saturday, August 11 at 10am PT, 1pm ET, 6pm BST – but only on PC. All you need for this two-day PC open beta is a Battle.net account. So far, an open beta for Black Ops 4 on PS4, and Xbox One has not been announced. Activision could decide to open the floodgates at some point on consoles, and it’s certainly done so in the past with other betas. Can you pre-load the Call of Duty: Black Ops 4 beta? Yes, the beta is available now to pre-load on PS4, and Xbox One. PS4 players who participated in last week’s test will only need to download a new patch. Pre-loading is also available on PC right now, regardless of whether or not you have access to the pre-order exclusive beta day. How big is the Call of Duty: Black Ops 4 beta? The Black Ops 4 private beta is a bit of a big download, at just about 31GB. This is much higher than most game betas, and certainly higher than any other Call of Duty beta before it. There’s a reason for that, however, and it has to do with the amount of content in it. More on that below. The Call of Duty: Black Ops 4 beta is not open to all plyers. The only guaranteed way of getting in is pre-ordering a copy of the game at retail, or digitally through the PlayStation Store, Xbox Store, or Battle.net for PC. Pre-ordering at retail gets you a token you can redeem on the official Call of Duty site, which in turn provides you with a PS4/Xbox One code for the beta. If your pre-order was made digitally through PSN/Xbox Store/Bnet, you will be able to download the beta through your console’s store (or Bnet app) when it becomes available. For Comcast Xfinity customers in the US, there’s another way you can get the same token. logging in with your Xfinity details at this link is all you need to do in order to get a beta token. You have until midnight ET on August 10 to take advantage of this offer. If both options are out of the question, you should still watch out for key giveaways online. Treyarch gave away a bunch of codes last weekend on Twitter, and the same will likely happen this weekend, too. Activision has not said if the Black Ops 4 beta on PS4/Xbox One will be opened to all players at some point in the future, though you may not want to hold your breath. PC is the only platform with a confirmed open beta, as we’ve outlined above. What PC specs will I need for the Call of Duty: Black Ops 4 PC beta? Treyarch has confirmed the full set of minimum and recommended PC specs for the Black Ops 4. Do bear in mind that these only apply to the beta, as the PC specs for the launch version may differ. What kind of content is in the Call of Duty: Black Ops 4 beta? The Black Ops 4 beta is strictly about testing multiplayer content. The Blackout battle royale mode will not be part of this test. A separate Blackout beta will take place in September, first on PS4 – though exact details aren’t yet known. Both Black Ops 4 beta weekends will feature seven game modes in four playlists, played on six maps. Maps are Frequency, Contraband, Seaside, Payload, Hacienda, and Gridlock. Ten of the game’s Specialists (classes) will also be available. You’ll be picking from Ruin, Seraph, Firebreak, Battery, Recon, Torque, Crash, Ajax, Nomad, and Prophet. Each Specialist comes with unique special issue equipment and a special issue weapon. In the Black Ops 4 beta, modes will be split into themed playlists. You won’t be able to select TDM specifically, for example. Control is the new objective mode you may remember seeing in most of the reveal footage. In Control, teams alternate between attacking and defending two objectives on the map. Lives are limited in Control, and the first team to score three captures wins the match. The Pick 10 create-a-class system will be available in the beta alongside the new special issue equipment, as well as the new gear slot. The maximum available level (max rank) in the Black Ops 4 beta is 40. Is PlayStation Plus/Xbox Live Gold required to play the Call of Duty: Black Ops 4 beta? You will not need an active PlayStation Plus subscription to play the PS4 beta. On Xbox One, however, an active Xbox Live Gold membership is required to play. Does progress in the Call of Duty: Black Ops 4 beta carry over to the full game? No, all your beta progress will not carry over to the full game at launch. All stats will be wiped. However, your progress will carry over between beta weekends, though this really only applies to PS4 players since they’re getting two beta weekends compared to just one on other platforms. What are the rewards for participating in the Call of Duty: Black Ops 4 beta? If you log in during any of the beta weekends on any platform, you’ll receive a unique calling card. This calling card will be delivered at launch, and can only be obtained by playing the beta. If you grind out levels until reaching max rank in the beta, you’ll get a permanent unlock token at laucnh. These tokens can be used to unlock any item in create-a-class in the full game. Is Blackout battle royale included in the Call of Duty: Black Ops 4 beta? No, the Blackout battle royale mode is getting its own, separate beta. The Blackout beta will take place in September. Dates have not yet been announced, but Treyarch confirmed it’ll start first on PS4 just like the traditional multiplayer beta. The good news is that you don’t need new tokens for the Blackout beta. In other words, if you’re able to play the multiplayer beta you’ll automatically have access to the upcoming Blackout beta. That recent Blackout tease certainly left us excited. Call of Duty: Black Ops 4 launches October 12 on PC, PS4, and Xbox One. 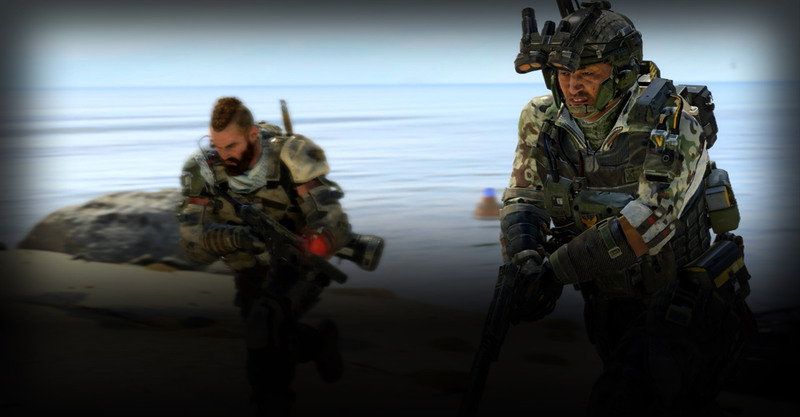 The post Call of Duty: Black Ops 4 private and open beta – PC/PS4/Xbox start times, how to get in and everything else you should know appeared first on VG247.